Bijou - A gem of a little salon in Skaneateles: Getting your haircut at Bijou and Face Shapes! Getting your haircut at Bijou and Face Shapes! Stop experimenting with haircuts that look good on others and wear a style that looks good on you!! To find out the shape of your face, measure it with a tape measure or ruler. You will take the following measurements. 1. Measure your face across the top of your cheekbones. Write down the measurement on a piece of paper. 2. Measure across your jaw line from the widest point to the widest point. Write down the measurement. 3. Measure across your forehead at the widest point. Generally the widest point will be somewhere about halfway between your eyebrows and your hairline. Write down the measurement. 4. Measure from the tip of your hairline to the bottom of your chin. Oval Face - Length equal to one and a half times width. Round Face - Your face is as wide as it is long. This may vary a little but generally the measurement is close. Oblong - Longer than it is wide. Heart - Narrow at jaw line, wide at cheekbones/and or forehead. Square - your face is about as wide as it is long. Diamond - Widest at cheekbones, narrow forehead and jaw line of approximately equal widths. Your haircut should be as unique as you . Your face shape is a natural guideline for finding the perfect style. Our stylists don't just cut your hair ; we design a customized haircut specifically for you based on face shape,texture,and thickness! 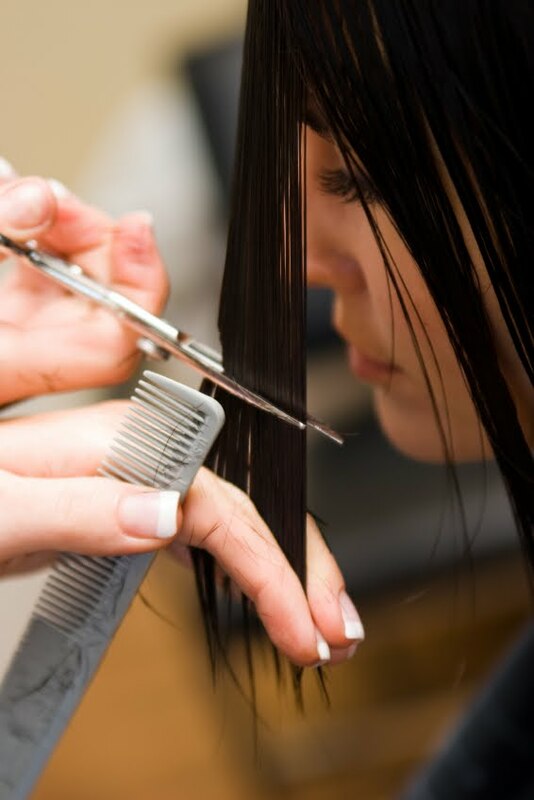 It's our passion and attention to detail that that makes Bijou Salon sparkle above the rest! Plus we listen to what you really want and advise you on what will work best with your hair!